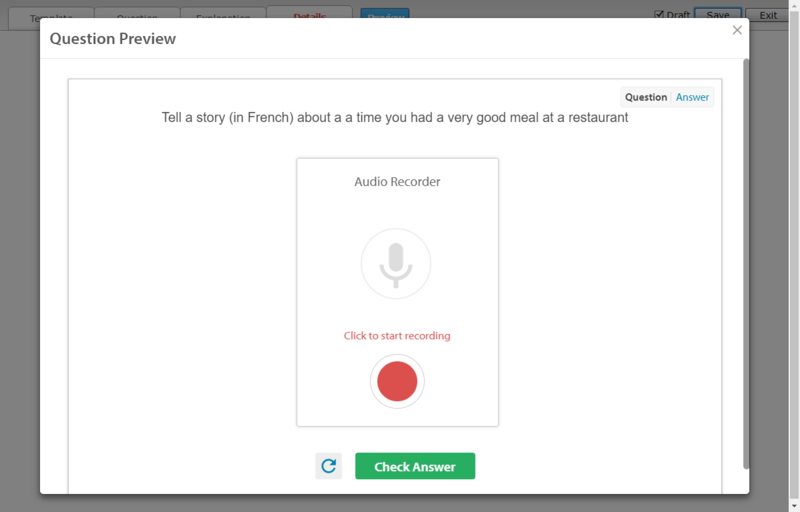 Sound Recorder Questions provide your students with an opportunity to record their voice in response to a prompt. 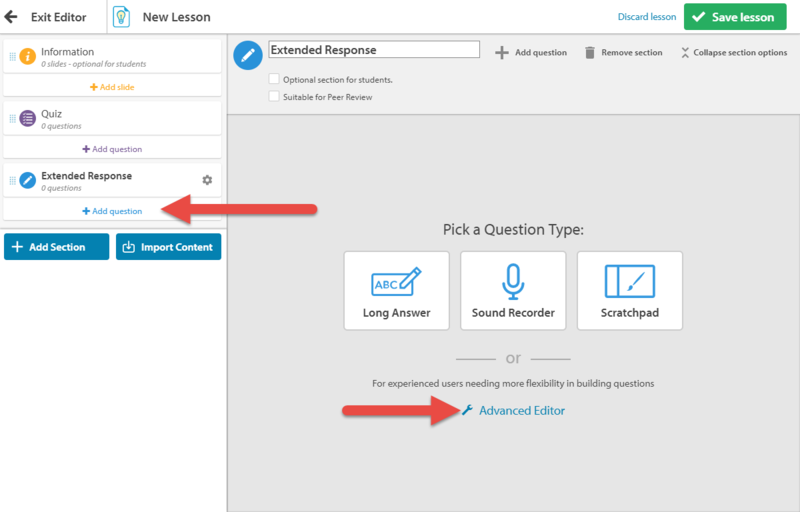 This article is for creating questions that feature the Sound Recorder using the Advanced Editor and is intended for use by teachers who have received training from Education Perfect. It is possible to create questions that will not function using this version of the editor. If you're unsure, please refer to this guide. A prompt will appear, read the prompt and click Open Advanced Editor. Scroll down the list of available templates and select Sound Recorder Question. 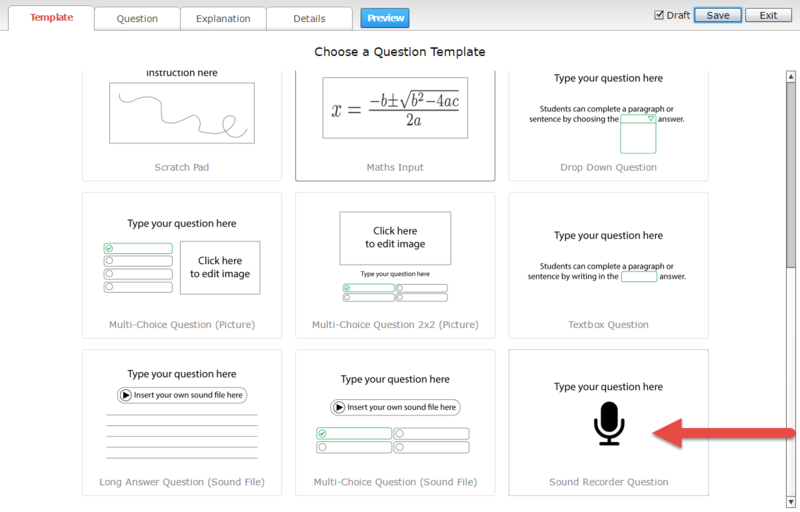 The next step is to provide the question prompt that your students will be responding to. Click the text above the microphone, or click into the Text editor to begin entering your question. This question can be as open-ended as you like. Click the Edit button to be a be taken to screen where you will be able to select the Sound Recording for the response; you have the option between a Quick Recording, which has a limit of 30 seconds for the recorded response, or an Extended Recording, which will go on for up to ten minutes. 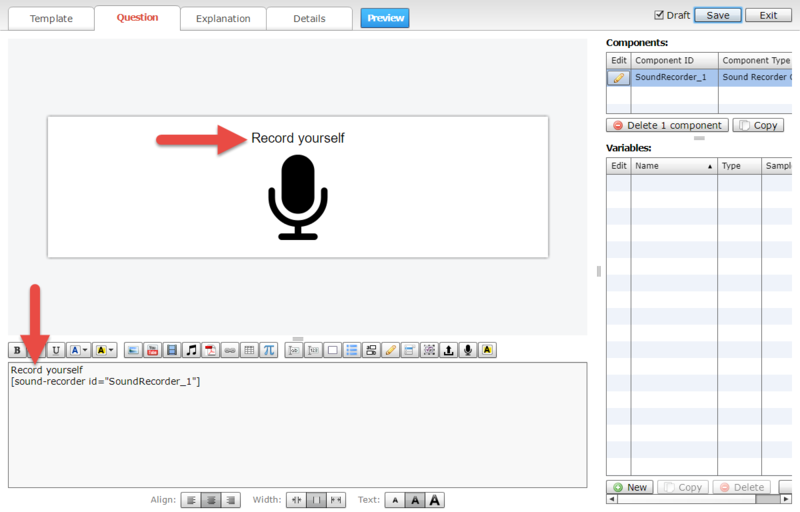 If you have selected a Quick Recording, you also have the option to add a Model Answer. You have to choose uploading a pre-recorded sound file, or you can paste a URL. Click OK when you are happy with your selection. You also have the option to add a brief explanation of the question that is displayed once students submit their response. 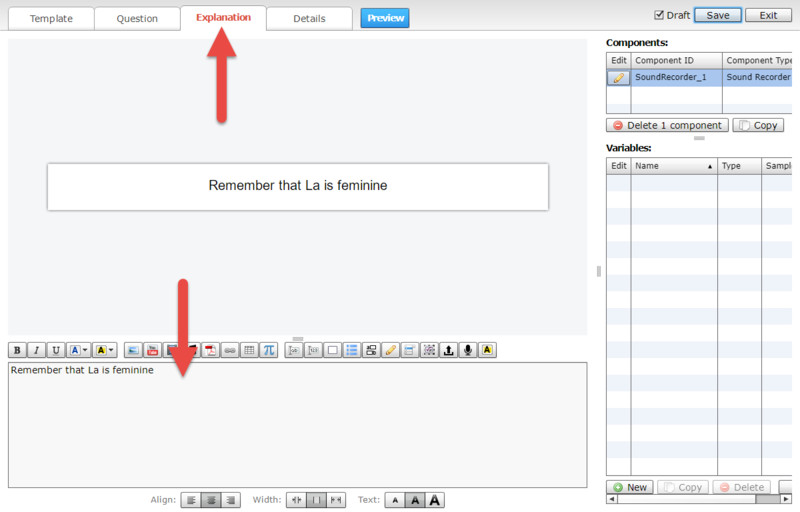 Select the Explanation tab and then click into the text editor to add your explanation. Click the Details tab. This tab will allow you enter a title for a question, set an allowed time, and add question notes. Select the Title box to change the name of your question. 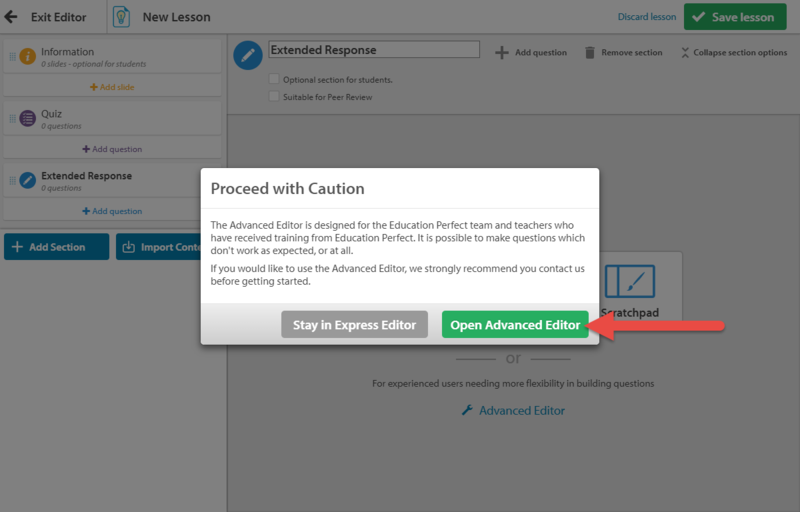 Click the Preview button to see the question as your students will see it. Select Save once you have finished making changes.